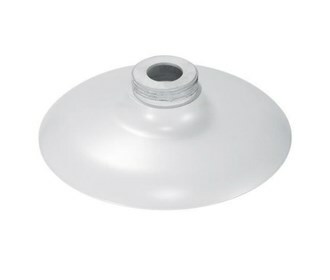 The Samsung SBP-300HM1 is a PTZ or dome camera mount cap adapter accessory made of aluminum and available in ivory. This accessory uses a 1 1/2" male threads. The Samsung SBP-300HM1 has many exciting features for users of all types. The Samsung SBP-300HM1 is sold as a Brand New Unopened Item.